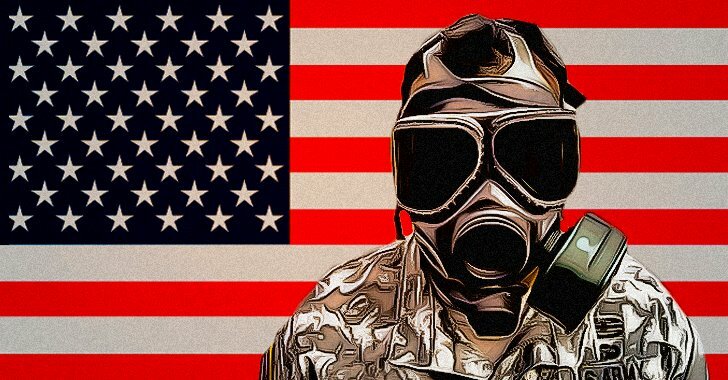 US Plans Fake Chemical Weapons Attack in Syria to Further their Destabilization Agenda? The White House claims that the Syrian government is preparing “chemical weapon attacks”. This is clearly not the case. Syria is winning the war against imperialism. Any such attack would clearly be to its disadvantage. The White House announcement must thereby be understood as preparation for another U.S. attack on Syria in “retaliation” for an upcoming staged “chemical weapon attack” which will be blamed on the Syrian government. In August 2013 Syria invited inspectors of the Organisation for the Prohibition of Chemical Weapons to investigate chemical weapons attacks on the Syrian army. As soon as the inspectors arrived in Damascus a “chemical attack” was staged in Ghouta near Damascus. Lots of Jihadist video coverage of killed children was published and the “western” media blamed the incident on the Syrian government. It never explained why targeting a militarily irrelevant area with chemical weapons at the same time as inspectors arrived would have been a rational decision for a Syrian government that was just regaining control and international standing. The “attack” was clearly staged by the opposition of the Syrian government and its foreign supporters. The Obama administration had planned to use it to launch U.S. attacks on the Syrian government but refrained from this when Russia arranged to remove Syria’s strategic chemical weapons, aimed at Israel, instead. In early 2017 the new U.S. president Trump made positive comments about the Syrian government. Assad can stay, he said. The Syrian military and its allies had gained the upper hand and were victorious on all fronts. Two days later another “chemical attack” was staged in the al-Qaeda held town of Khan Sheikhun. Lots of Jihadi video coverage of killed children, likely prepared in advance, was spilled onto the “western” public. U.S. intelligence knew that no chemical attack by the Syrian government had taken place. But the Trump administration used the incident to launch a volley of cruise missiles against a Syrian military airport. The neoconservatives were delighted. They finally had Trump where they wanted him. The media coverage changed from damming Trump for his alleged “Russian connections” to lauding his decisiveness in response to the faked attack. According to the information confirmed by several channels on May 1, aided by Al-Jazeera’s professional crew including cameraman Samir Samarin, Hayat Tahrir al-Sham militants and the so-called ‘White Helmets’ have recently filmed a staged, fake movie of an alleged chemical attack against civilians by the Syrian Army in Saraqeb village not far from Idlib. Around 30 fire-trucks and ambulances, as well as local residents with children from an Idlib-based refugee camp, were engaged in the filming of the movie. According to FARS News, the White Helmets in Idlib are paid around 1,000 Syrian pounds per clip. The filming crew even burned tires to produce thick smoke. The shooting was conducted from two spots (near the oil factory and a TV tower) from different angles using a drone. Filming took place in Arihah and Jisr al-Shughour towns. The footages will supposedly be published in 15 days after a provocative shelling of the SAA positions aimed at causing retaliatory measures. Macron said that on Syria: “My profound conviction is that we need a political and diplomatic roadmap. We won’t solve the question only with military force. That is a collective error we have made. The real change I’ve made on this question, is that I haven’t said the deposing of Bashar al-Assad is a prerequisite for everything. Because no one has introduced me to his legitimate successor! You like fakes? Tune in to Macron announcing the next False Flag chemical weapon attack in Syria. Like all “red lines” this one Macron set was an invitation to the Takfiris to launch more fake incidents. Others had a similar reaction to Macron’s (fake) turnaround. The end of the war on Syria is in sight. One can start to tabulate the winners and losers. The U.S. military conceded that it had lost the race to occupy south-east Syria. All these turns in favor of Syria show that the war is practically won unless some of the outside sponsors of the Takfiri “rebels” again escalate. Five US defense officials said they did not know where the potential chemical attack would come from and were unaware the White House was planning a statement. A U.S. bomb attack on an Islamic State used building in Mayadin, Syria, just killed 57 prisoners of the Islamic State. Will Nikki Halley hold the Syrian government responsible for this? Intense U.S. military reconnaissances takes place along the Syrian coast. The UK Defense Minister just announced that his government is “in full agreement” with any U.S. “retaliation” for a chemical attack in Syria. U.S. Secretary of Defense Mattis announced that the U.S. will continue to arm its Kurdish proxies in Syria even after ISIS is defeated. During the last three days Al-Qaeda attacks on Syrian army position near the Israeli occupied Golan heights were supported by Israeli air attacks. This all is clearly a coordinated operation by the “western” supporters of the Takfiris in Syria. Their aim is to prevent the victory of Syria and its allies. The U.S. wants to split up the country. President Trump and members of his administration are requesting a full bilateral meeting with Russian President Vladimir Putin at the G-20 summit in Germany next month. While some administration officials have pressed for a quick “pull-aside” meeting at the Group of 20 summit or lower officials talking privately instead of the heads of state, Trump wants an event that includes the media and time for work sessions, according to one government official. Syria insists that its has no chemical weapons nor any intention to use any indiscriminate weapon. Russia warns of any further military aggression and calls such U.S. threats unacceptable. 4 Comments on US Plans Fake Chemical Weapons Attack in Syria to Further their Destabilization Agenda? It was likely no “coincidence” Spicer’s statement along with Haley’s were meant to reduce the impact of Seymour Hersh’s devastating article to the greatest extent possible. Corporate media has a unanimous pro-Trump narrative on this announcement, including the always present retired generals, which should shake people concerned about establishing peace in Syria to the core. On the positive side of things those corporate media reports have been mostly given the “thumbs down” on YouTube, with a great majority of comments being highly critical of Trump’s warmongering. Will it be enough to stop the psychopath Trump group from escalating the violence is the question. It’s the “aimed at Israel” sentence I am concerned about. Is this official? I have never heard that Syria has had chemical weapons aimed at “Israel” or any others. Do you mind sorting this out for me? Thanks in advance. It’s Judaism! Lets get real!